Fished the Rogue River Friday and Saturday, hooked four spring Chinook salmon. We lost one, released two and got one keeper. 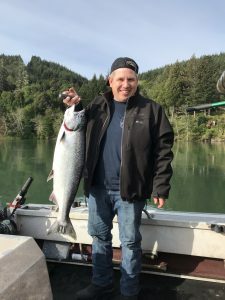 The rain has been bringing in more spring salmon and the numbers are increasing daily. Better weather will be here starting Wednesday and hopefully it will be greeted with lots of spring salmon. Get your spring Chinook trip booked now before the dates run out.